LA JOLLA—The most commonly prescribed antidepressants, selective serotonin reuptake inhibitors (SSRIs), lift the fog of depression for many people. But for around a third of people with major depressive disorder, SSRIs don’t make much of a difference. Now, researchers from the Salk Institute have pinned down a possible reason why—the neurons in at least some of these patients’ brains may become hyperactive in the presence of the drugs. The study appeared in Molecular Psychiatry on January 30, 2019. When neurons get the blues. This artistic image shows neurons derived from pluripotent stem cells of antidepressant (SSRI) resistant depressed patients. 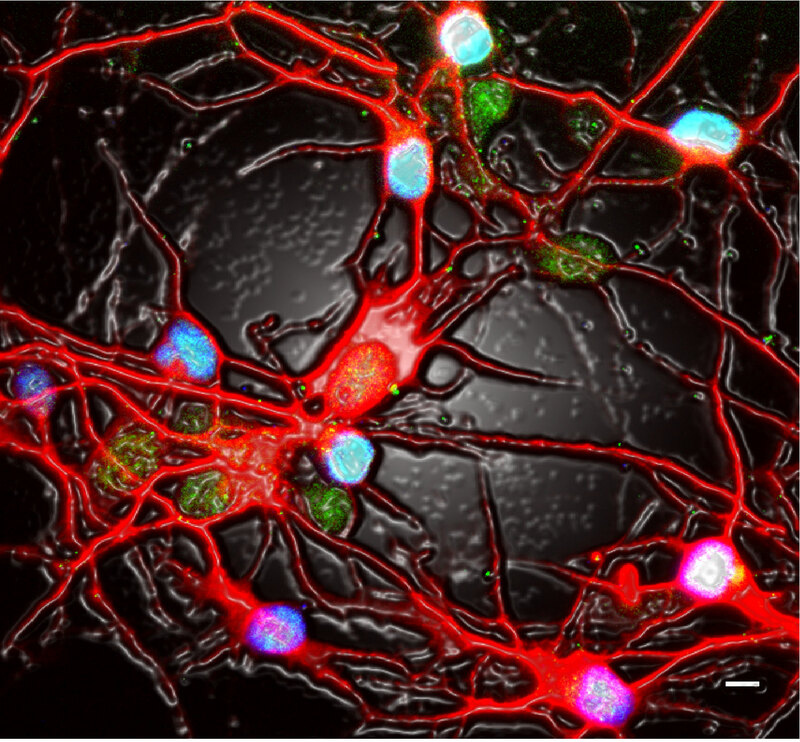 SSRI-resistant patient neurons display hyperactivity in response to serotonin. The study reveals potential mechanism associated with SSRI-resistance in major depressive disorder (MDD). The image is modified from Figure 2c of Vadodaria et al., Molecular Psychiatry, 2019. Other researchers on the study were Apua Paquola, Callie Fredlender, Kelly Heard, Yalin Deng, Amy Le, Sonia Dave, Lianna Fung, Xinyi Li and Maria Marchetto of the Salk Institute; and Yuan Ji, Michelle Skime, Timothy Nelson, Daniel Hall-Flavin and Richard Weinshilboum of the Mayo Clinic. The work and the researchers involved were supported by grants from the Robert and Mary Jane Engman Foundation, Lynn and Edward Streim, the Takeda-Sanford Consortium Innovation Alliance grant program, a Swiss National Science Foundation (SNSF) outgoing postdoctoral fellowship, a Minnesota Partnership Award for Biotechnology and Medical Genomics, an NIH-Mayo Clinic KL2 Mentored Career Development Award (NCAT UL1TR000135) and the Gerstner Family Mayo Career Development Award in Individualized Medicine.